BS EN ISO 19650-1 and BS EN ISO 19650-2, the first two significant international standards for BIM, will be published by the Business Standards Company (BSI) very soon. They will replace the current BS 1192 (principles) and PAS 1192-2 (capital delivery phrase). 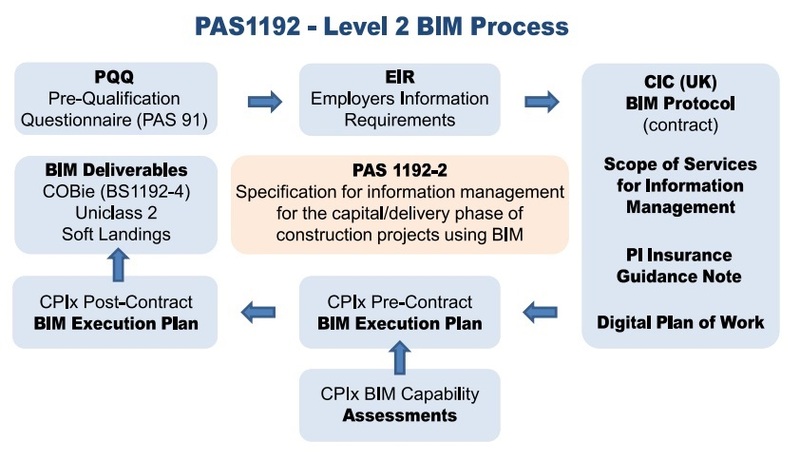 The new standards will offer some direction on the establishment of both the information regarding construction works and information management with BIM. The first one, the BS EN ISO 19650-1 will be focused on principles and concepts; and the second one, the BS EN ISO 19650-2 will handle the capital and the delivery phase. The strategy of the United Kingdom to transition from BIM Level 2 as a national standard into a national was published in the Report for the Government Construction Client Group - BIM Strategy Paper, back in 2011. In this document, BIM was pictured as a disruptive and "game-changing" way of working and will have a deep impact on the worldwide construction. In the UK was agreed that BIM processes transcend both national and geographical borders, therefore it is inevitably to push towards international norms and standards. The existing BSI collection of standards was used as the foundation for the future international BIM standards. As have been proved, the BIM standards are a very useful tool to help with the adoption of a standardized guidance, and they have become a basis for collaboration with other countries in the development of common standards. Working together will bring benefits to all the actors involved in the process, including a common security-minded approach to the acceptance of these powerful information models and tools. At the same time, this agreement will settle the roots for a level playing field for international markets and foster trade. In addition, BSI will publish a national annex to BS EN ISO 19650-2 to authorize the BIM implementation in the United Kingdom and to describe the Level 2 inside the ISO framework, a national preface and a published document, PD 19650-0, providing guidance on how the ISO evolves the familiar BS structure. This annex document and preface are mainly informative texts that will offer both contextual and additional information that doesn’t affect the base document. The PD 19650-0 aims to help users to transition to the ISOs, including some changes of nomenclature and differences of a specified approach. The annex will keep the same written style as a British Standard and will also follow the same norms, without being a full BS. At the same time, it doesn’t pretend to become a guide for the newcomers to the BS EN ISO standards, a long-term project with an ambition to deliver it as soon as possible. As described in BS 1192:2007+A2:2016 and PAS 1192-2:2013, BS EN ISO 19650-1 and 2 are founded on the UK’s standards for information management using BIM. To sum up, the BS EN ISO 19650 is an internationalization of the BIM Level 2 model and gathers the same ideals and high-level conditions with specific UK information within the UK’s National Annex. How does 4D/5D BIM benefit the General contraction and Construction Industry? "We are currently adapting AECOM's global expertise in BIM to the Brazilian market"